JANDS is pleased to announce that Chroma-Q® has acquired the Vista lighting control product range. Jands has made a business decision to cease manufacturing the Vista lighting control product range. Recognizing the potential for Vista lighting control systems in today’s market, Jands felt it was a logical move to have Chroma-Q® take over the manufacturing of Vista lighting control product range. Moving forward, new hardware design, development and manufacturing will be done in Chroma-Q®’s manufacturing facilities. 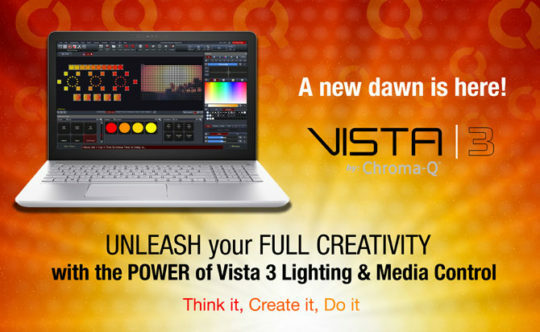 To coincide with the acquisition, Vista will now be branded as Vista by Chroma-Q® .